Marx argued that capitalism was the exploitation of workers by employers keeping the surplus his or her work earns as profit. The Court assesses need in divorce and if your income has a surplus while your ex has a need, what you thought may be a profit is re-distributed to meet the needs of your ex by maintenance order. Marriage contracts are therefore open to interpretation as a Marxist re-distribution of wealth or capitalist exploitation, depending on your point of view. The application of political models to the laws settlement of divorce cases is moot as modern society reflects our mistrust of politicians; but by rejecting politics are we choosing lawyers instead to answer our problems? The straight answer is probably that lawyers share a similar public esteem to politicians. The reality is that our point of view is a quasi political/ quasi legal expression; trained lawyers know that save for qualified experts, opinion is no evidence at all. They further know that judges are lawyers and that until we live in a society without laws and the politicians that make them, that is a world without individual opinion, we live in a representative society; we elect representative politicians and appoint representatives to present our case in court. Solicitors work for profit but they advise, negotiate and represent your opinions in court guided by their long and costly training; it is probably best not to try to break free of your chains without the help of someone who knows which tool to use to get the job done.A final thought; Marx did not really do a days paid work in his life, most of the leaders of the French Revolution were failed lawyers,Jeremy Corbyns grandfather owned a solicitors practice and the Romans, at least until Hadrian, did not trust a man with a beard.Divorce and the triumph of capitalism may reflect an out of date paternalistic legal system or seek to achieve fairness in all the circumstances depending on how you feel when you leave the court if you have not instructed a solicitor to negotiate a settlement. If you do not know your Marx from your Engels, please call 01606 872200 or e mail info@piplaw.co.uk for discussion of options available with a solicitor when you need to settle with your ex. 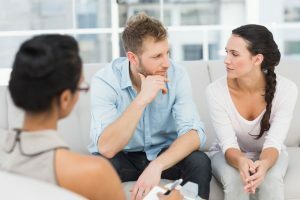 This article was added on Tuesday, April 25th, 2017 at 11:10 am and is categorised under Cheshire divorce solicitor, Chester News, Divorce, divorce finances, Hartford divorce, Macclesfield News, northwich solicitors, Runcorn News, St Helens news, Warrington News, Widnes News, Winsford News. Both comments and pings are currently closed. Error: Error validating access token: Session has expired on Saturday, 09-Mar-19 13:12:58 PST. The current time is Thursday, 25-Apr-19 21:45:20 PDT.